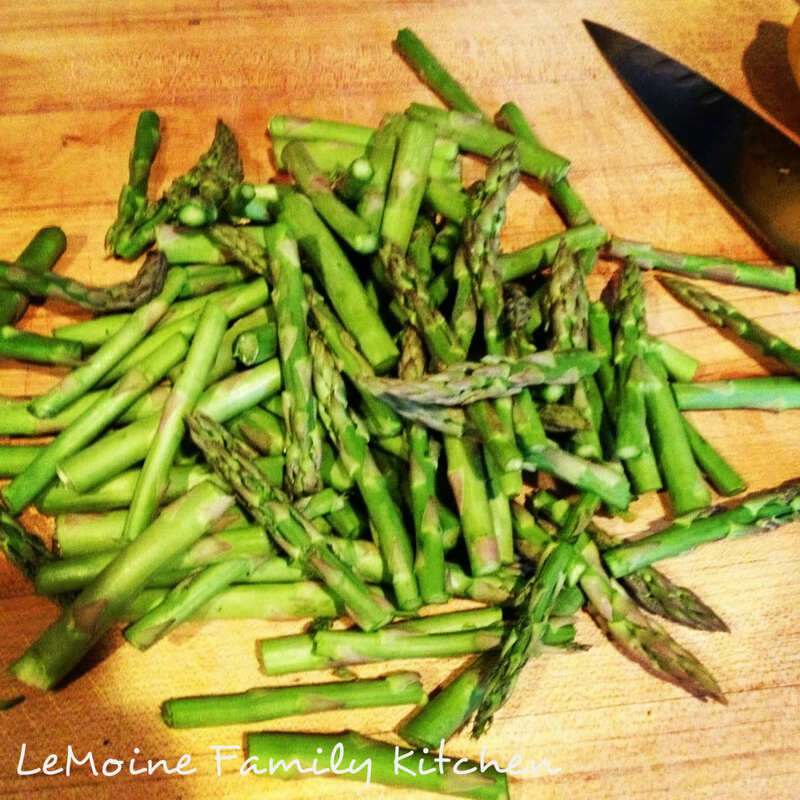 Asparagus… it can be delicious or awful! 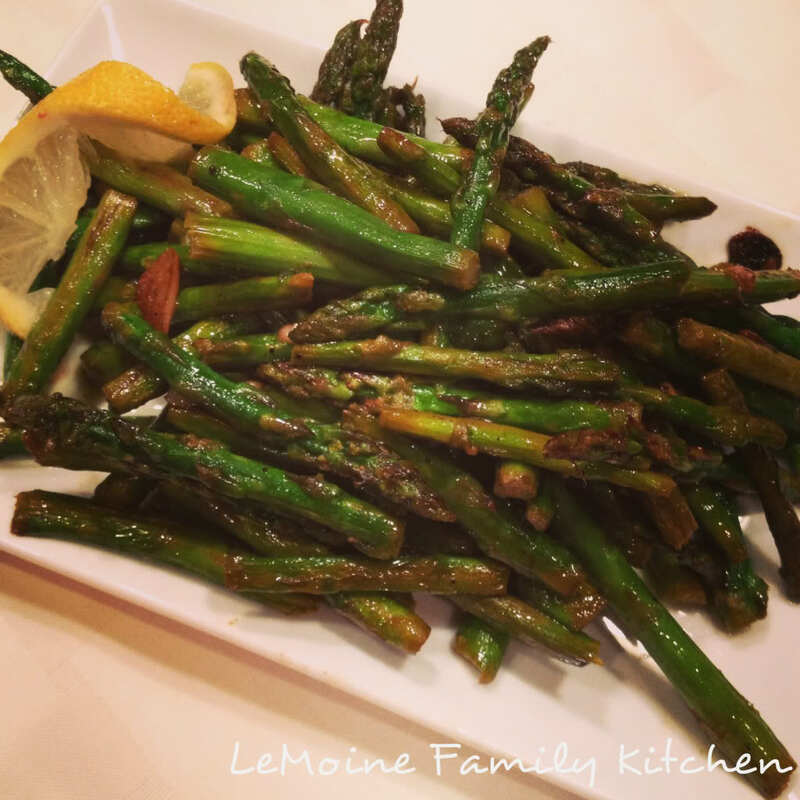 Over cooked, mushy, stringy asparagus is not appetizing… this simple side dish is! 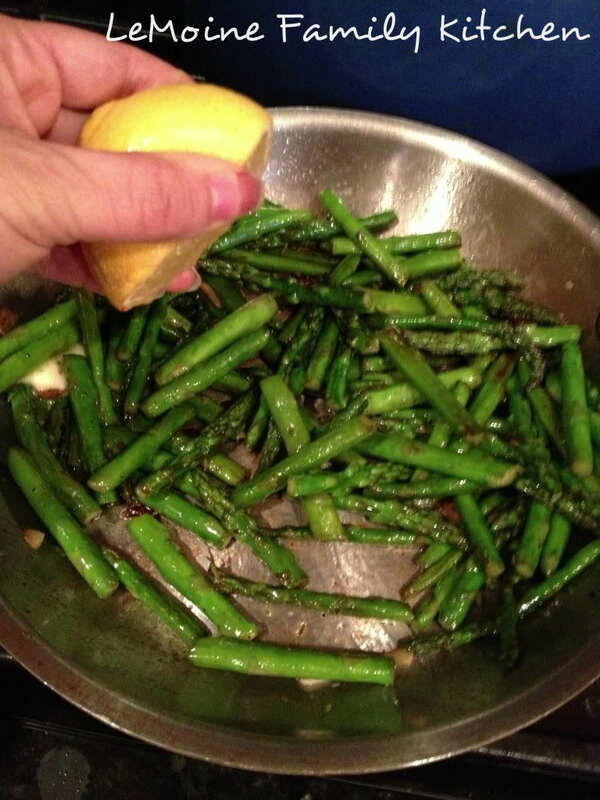 A handful of ingredients, a few simple steps and you’ve got a really fresh and delicious dish of asparagus! Sautéed with garlic and finished off with a dab of butter for a little richness and fresh squeezed lemon juice to brighten it up! 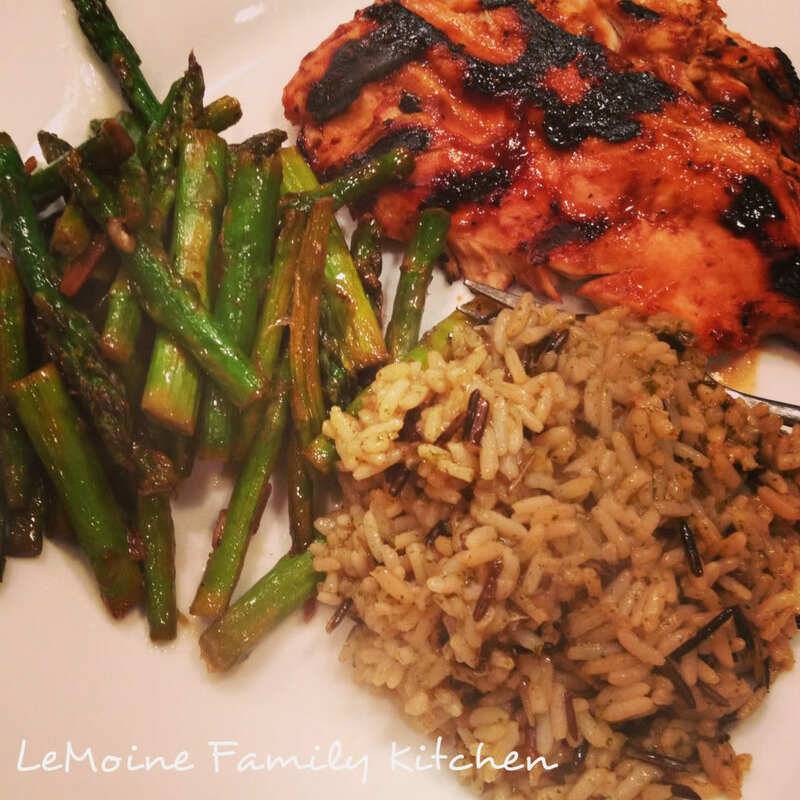 I served mine along with BBQ grilled chicken and wild rice (yes, I am on a wild rice kick). Hope you enjoy this one as much as I did! In a saute pan, over medium heat, add the asparagus. Add a 1/4-1/2 cup of water to get the asparagus started. Once the water is evaporated add in a few drizzles of olive oil and the garlic. 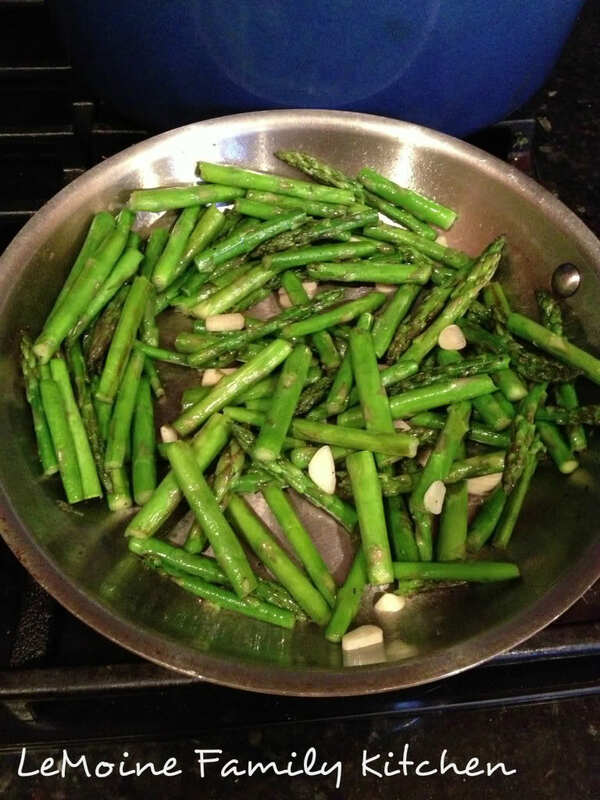 Cook until the asparagus is tender and the garlic is lightly golden. Turn the heat off and add in the butter and lemon juice. Toss to combine and season with salt and pepper to taste. Thanks! 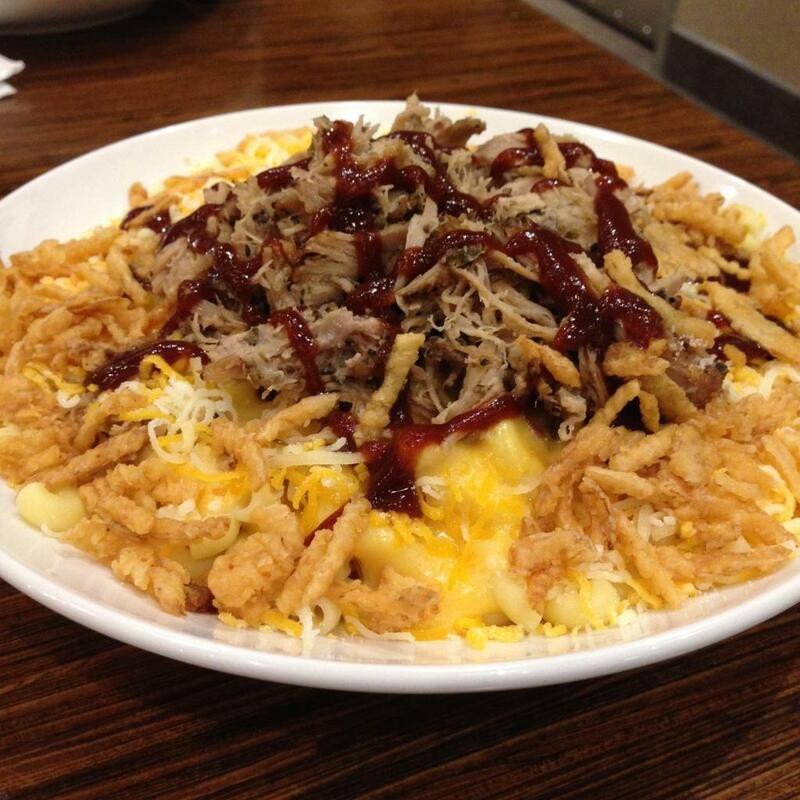 Sometimes the most simple things are the tastiest! These were wonderful! Thanks so much! 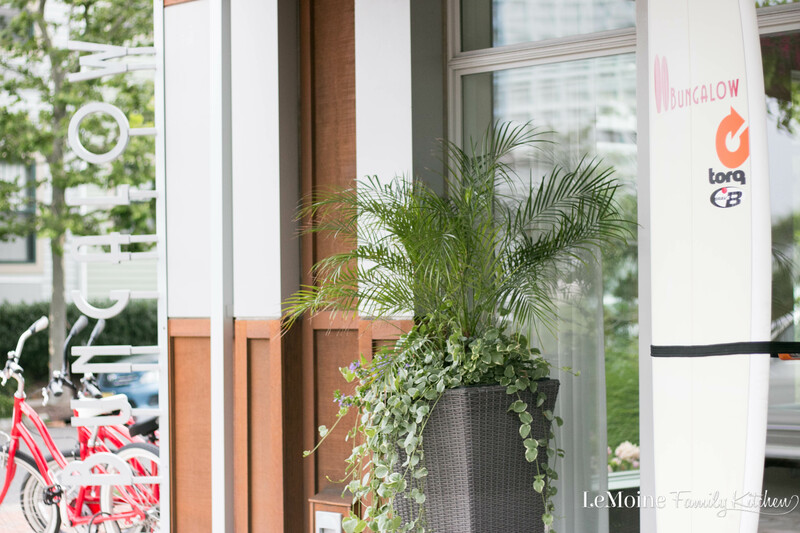 Something so simple… but I do love all things lemon!